Down Town - Skate and snowboards in Den Bosch. 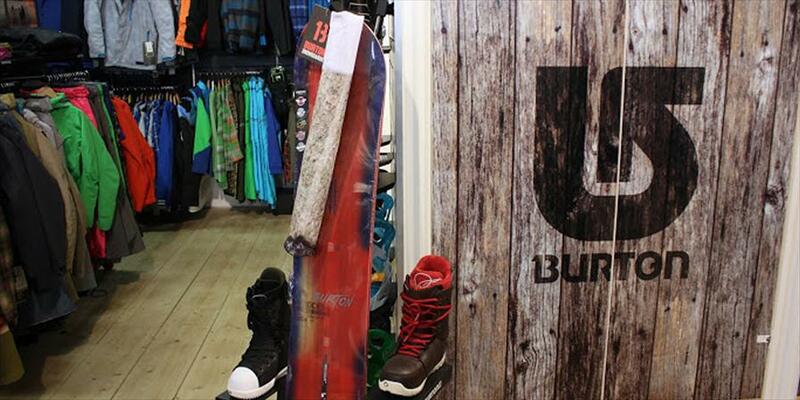 Down Town is the go-to snowboarding specialist in Den Bosch and far beyond. You’ll find all possible shapes and sizes of snowboards, bindings, and snowboarding boots for both beginners and experienced boarders. Besides that, there’s also an enormous collection of outerwear, goggles, helmets, backpacks, and accessories. 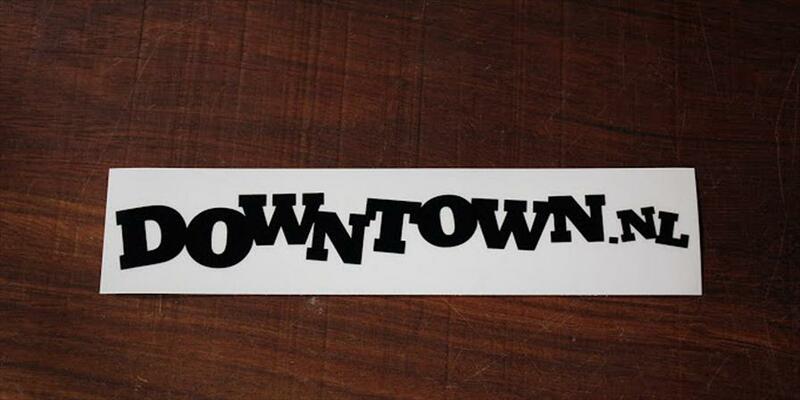 Down Town is also a GoPro-selected dealer. This means that the entire collection of GoPro action cameras is available here. Naturally, this is also a great place for anyone who loves snow and winter sports. 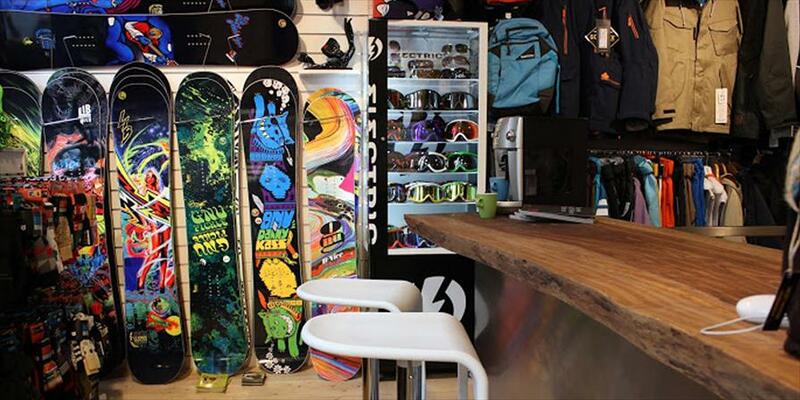 Down Town is the only store in the Netherlands focused solely on snowboarding. This specialization is obvious upon entering the store. The staff truly supports the fun and beautiful products for sale here, and will offer expert advice with enthusiasm. 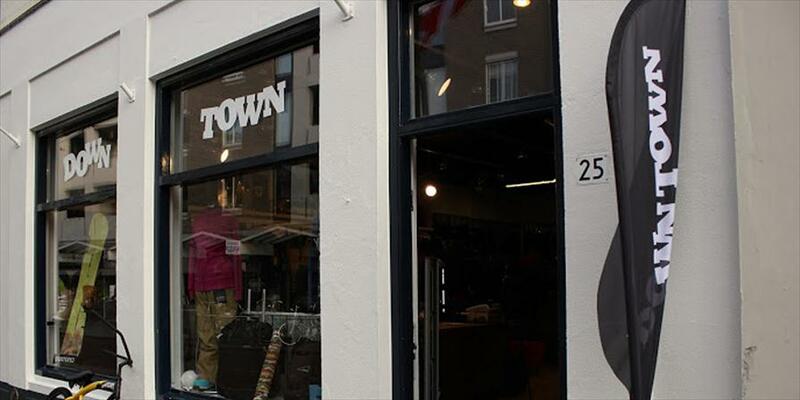 Down Town is also a true Burton Premium Shop, of which there are only 2 in the Netherlands. If they are out of a specific item, they will be happy to order it and make it happen. Snowboarders, skiers, families, grandpas, and grandmas with grandkids, groups of friends: snowboarding is for everyone! And this is what Down Town radiates. The sport is very accessible, but often tense and exciting. The atmosphere is the right mix of professionalism and coziness. The beautiful interior is very clean, and done mostly in black, white, and wood colors. It forms a nice and clean basis for the colorful products. The central bar in the shop is a great place to get a fresh cup of coffee. Conveniently, the Orthenstraat is at the edge of the downtown area, which is still accessible by car. If you arrive by train, Down Town is easily accessible as well; it’s a 3 minute walk from the Central Station.